There is jazz music playing, and a slew of denim jackets, wire rim glasses and bangs on every other person. The mosh pit is filling up, and everyone is chill as all hell. And even though it may be too late to be out on a Tuesday when I have quizzes in the morning, I can tell that we can expect a great crowd for Mitski. It’s a rainy night, but inside the Imperial, the crowd is energetic and ready for a concert. The decor is unique — terracotta warriors stand high above the crowd as decor, the stage is bathed in a deep violet light, and while the crowd is making noise, it isn’t rowdy. Right off the bat, this place is notably wheelchair friendly. There are ramps within the mainstage area, being transitioned from the bar, as well as a wheelchair friendly bathroom on the main floor. The bathrooms downstairs however were only limited to two genders, so one could assume that the main floor wheelchair bathroom may be the closest thing the Imperial to has a gender neutral bathroom. The performers’ musical sound is an cool mix of ambient, pop, and a bit of soul. The two vocalists bounce off each other’s energy, and the audience can see the chemistry that crackles between them. Overcoats are a fitting opener for Mitski as the two vocalists spend the first minute onstage standing still together, back to the audience like a hipster version of the twins from the Shining. The two croon their words, and while it was calming, it was difficult to make out their lyrics. But it honestly didn’t matter because they were a refreshing pop group, full of talented women. 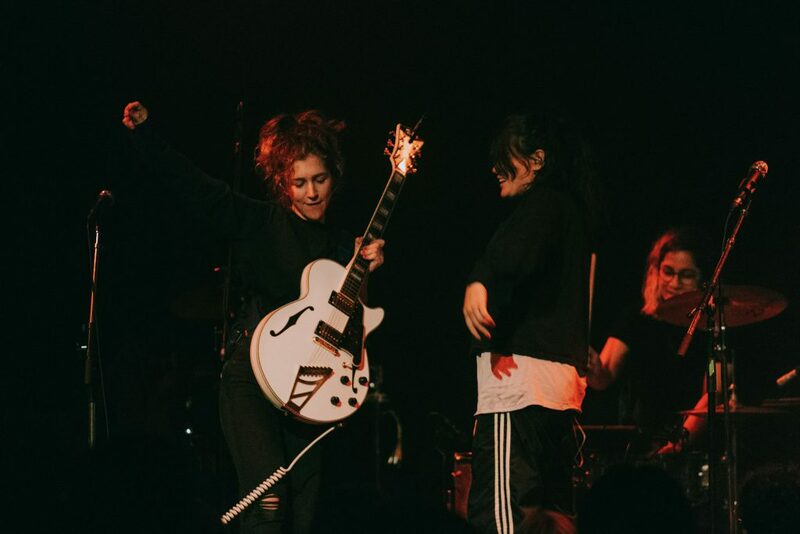 Some notable songs “Welcome,” an almost indie cowboy kind of ballad, a deeply sentimental but uninspired cover “Imagine.” It was ultimately Overcoats’ “I Don’t Believe In Us” that stood as their catchiest song by far. Although they were an opener, and they had the moves of the coolest Oompa Loompas I’ve seen (I swear this is a compliment), the moody, crooning Overcoats had an intimately attractive energy that made for a great set. After a solid opener, the crowd patiently waited for the grand cowboy of moody hipster music herself: Mitski. First and foremost a performer, Mitski was hypnotizing in every way. She walked on stage stoic, graceful, and poised. Everything about her was absolutely electric — one of the most striking things from her performance was her dance movements. With eccentric style, Mitski moved/danced very deliberately — every wave of her arm, every kick, and every curled finger was very purposeful, and even if I (or the rest of the audience for that matter) didn’t understand how each movement set coupled with her songs, we loved it anyway. Dance moves aside, the absolute emotion that Mitski poured into her every song was just bewitching, and the music was made even more powerful by her passionate lyrics — from her older songs like “Townie” and “I Will” all the way to “Your Best American Girl.” By far, her best performance of the evening was her slow, sorrowful “Two Slow Dancers” which not only left her audience drying tears, but also herself. 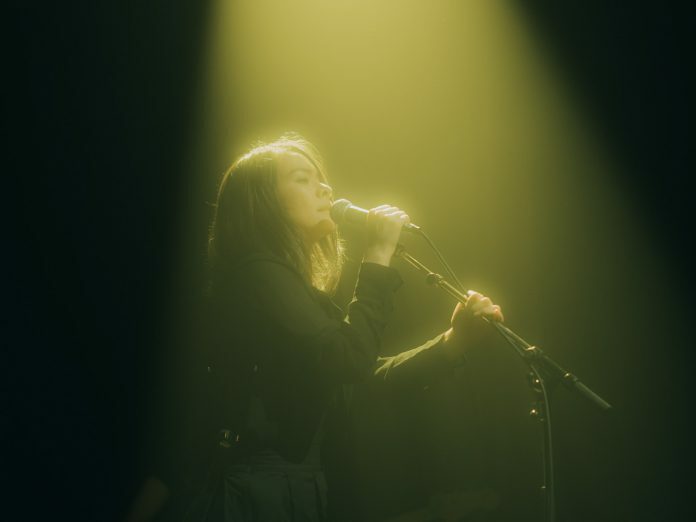 Seeing an artist like Mitski, an Asian woman, and an unapologetic, eccentric, and passionate one at that, made for a stirring and truly unique concert experience. With decor as unique as terracotta stone warriors bearing down on the audience, and a gorgeous lighting system, roomy space, and stellar acts as Overcoats and Mitski, the Imperial undoubtedly makes for a great place to jam out on any late night.